Welcome back...I believe I'm officially back from my Summer break. I'm still going to be posting to the Tumblr that I also ignored after saying I was going to post there, but lets move on. 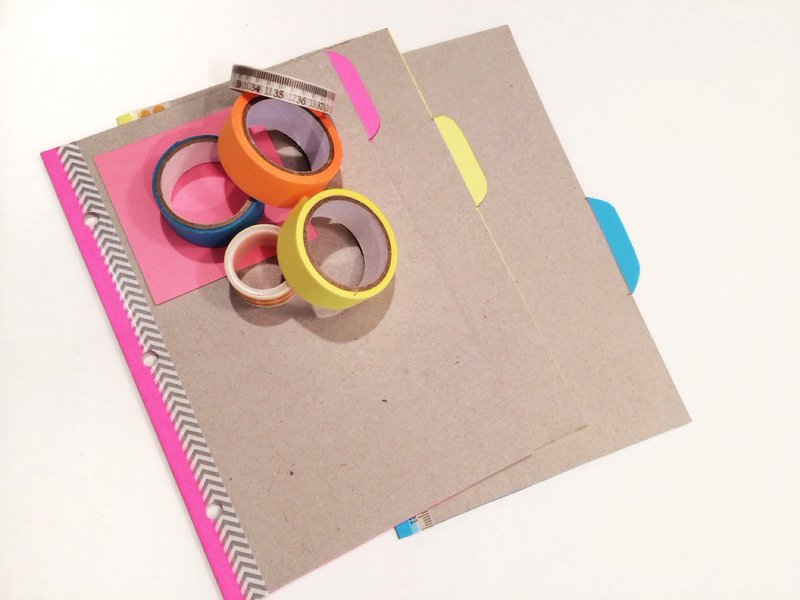 I'm getting back into my planner recently & I know school time is just around the bend so I thought I'd share a fun, recycle DIY to make dividers for a ring bound planner. 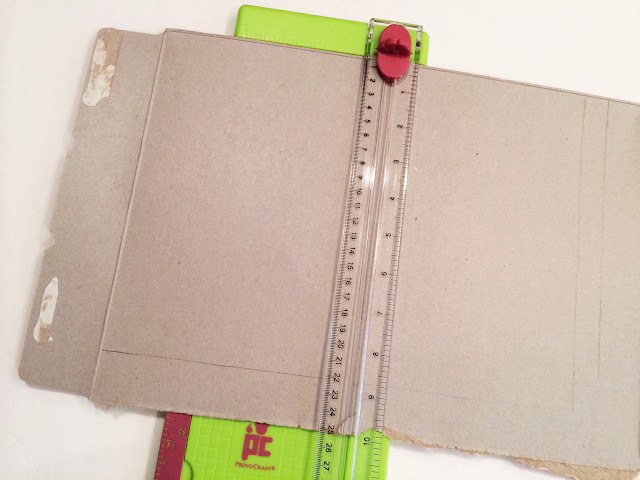 Of course you can always scale this up to make dividers for your school binders or any organizing you need to do. I feel like I've never really grown out of the need for school supplies and starting back into my planner is an excuse to break it all back out. Start off by opening your cardboard box to lay flat. 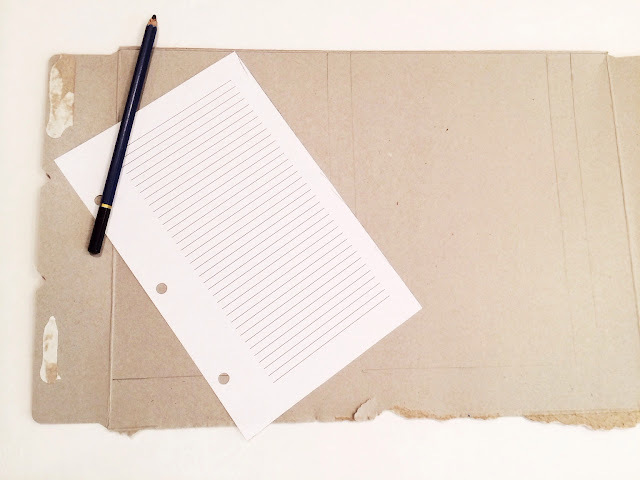 You may have to trim around it to get the cardboard to fit in your paper cutter. If you don't have a paper cutter, a craft knife or box cutter + a ruler will do just fine. Next lay out your pages to see how big to make your dividers. 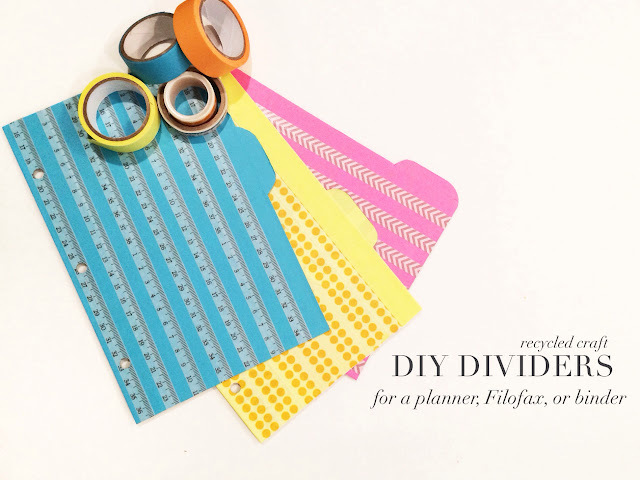 This will depend on what you're making the dividers for so you can use a piece of paper (or the measurements) from your planner, binder, etc. 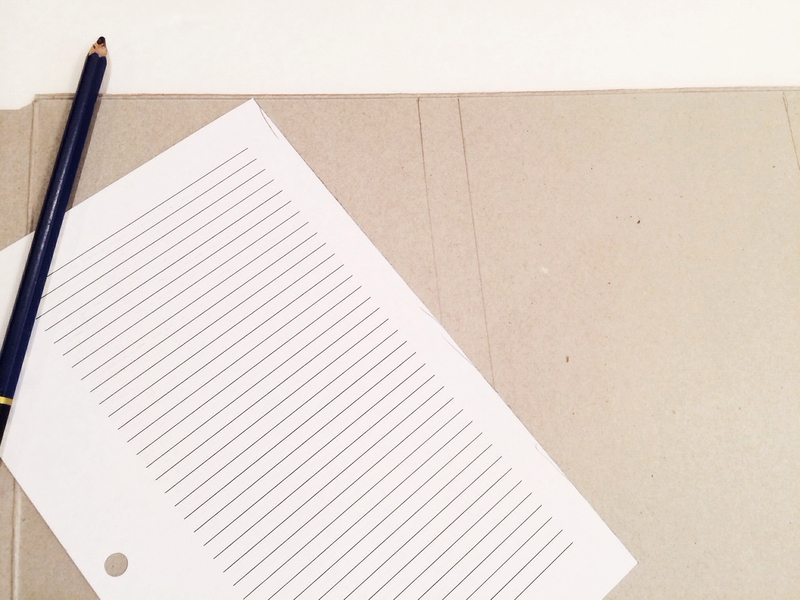 My pages are 8.5" x 5.5" since I cut down copy paper to fit into a small binder. Leave enough room between your measurings to account for the actual flap of the divider. I left more than I needed (I originally left half an inch) so I could trim later if I needed to. 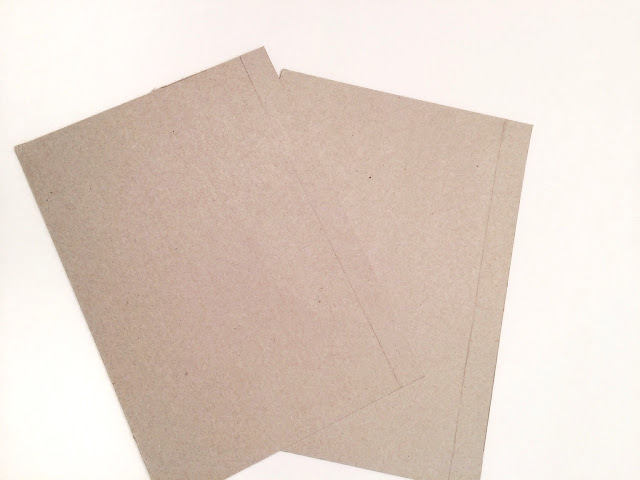 Use your paper trimmer or knife to trim your cardboard down to size. Then start to work on your tabs. I decided to make three tabs with the tabs each 2 inches in length. I lined them up & used my ruler to measure where they would fall when alternated. 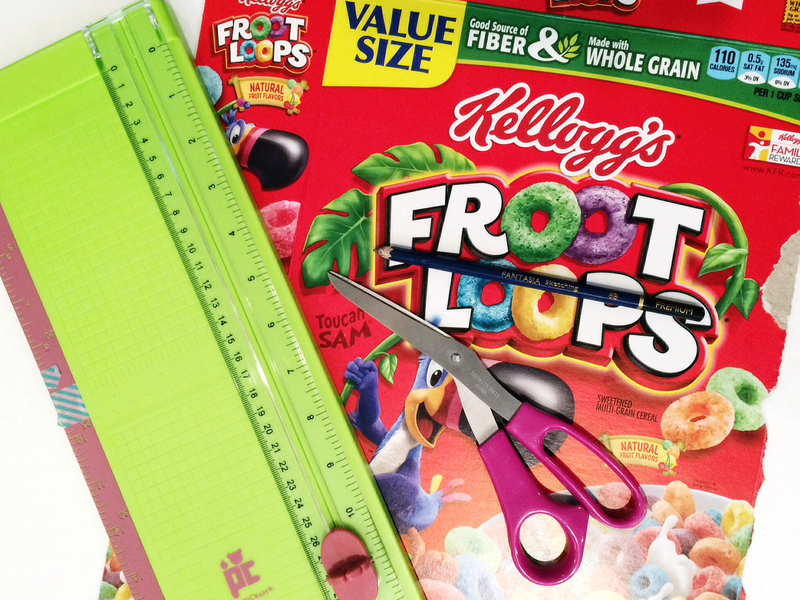 Using your craft knife or if you're pretty good with your paper cutter, cut out your tabs. I used my paper cutter kind of like a matboard cutter by slicing down to a mark then repositioning the blade to continue the cut on the other side of the divider. Next decorate your dividers. One side will be a nice, plain cardboard and the other side will be Froot Loops....so cover that up. I used some of my ever hoarded Kid Made Moder Paper Tape that I don't even think they make any more and some washi tape. 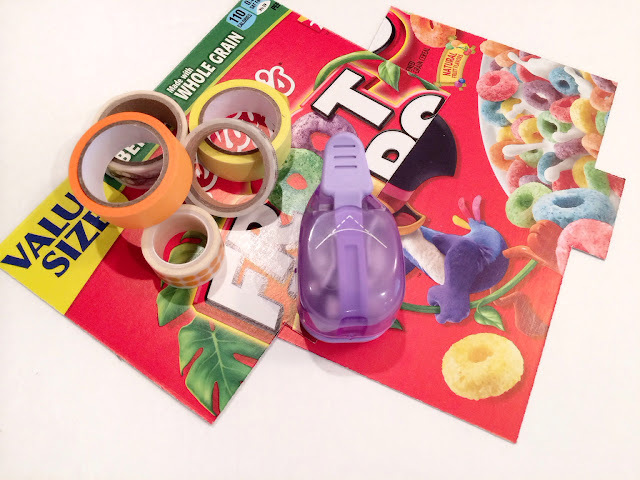 The reason I used the Kid Made Modern tape is because it was thicker & would cover the design easier. Another option would be to glue down scrapbook paper. Of course, trim your edges and trim down the tabs if need be. Round the corners of your tabs with scissors and round the corners of your dividers, if you wish, with your corner rounder. 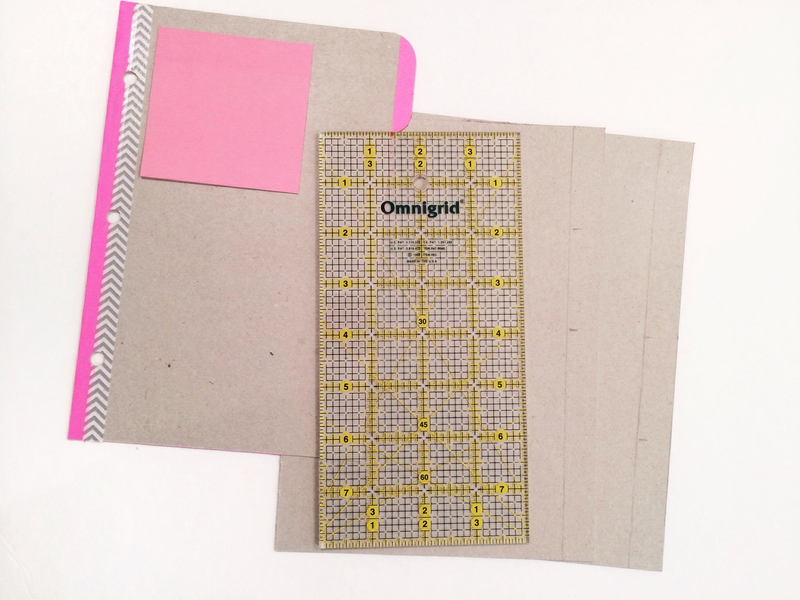 Finally punch your dividers to fit in your planner or binder. This is such an easy & affordable DIY for your planner or binder - and just in time for Back-to-School. There are two times to get really excited about planners - January 1st and right before school starts. Also, any other day is a good day to get into planners as well! I use my planner currently mainly for blog stuff but I also have life stuff in there too. My blog planning routine hasn't really changed from this post but I'm going to go over my planing routine again here shortly. Hopefully I'll be sticking to it but honestly I feel like my whole life is just change. I don't know how people can stick with one thing for, like, ever....I can barely get a project done!